What better way to brighten your day than with the taste of a fresh and vibrant smoothie. 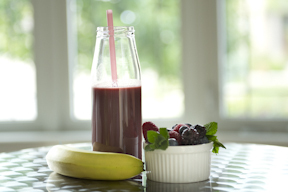 Delicious and packed with nutrients, smoothies are loved by both kids and adults alike. Get the entire family involved in making smoothies by creating various combinations from our Eyefoods approved ingredients below. 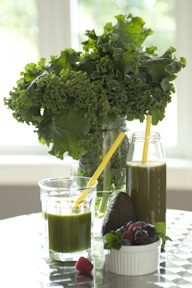 Add leafy greens and you have made a treat loaded with lutein and zeaxanthin. Pull that blender out of the cupboard and onto your countertop. Add the ingredients in the following order for best blending results. Be creative, experiment and enjoy! Other nutrition and flavor boosters include Greek yogurt, nut butters, sliced nuts, sunflower seeds and wheat germ. **Lutein and zeaxanthin are best absorbed when consumed with healthy fat. Enjoy your smoothie with a handful of nuts or include a healthy fat as an ingredient in your smoothie. With the colder weather settling in, its the perfect time for a hot bowl of soup. This recipe is an Eyefoods favourite and loaded with great eye nutrients! Directions1) Sautee onion, celery and carrot in 2 tbsp canola or olive oil on med-high heat for 3-5 minutes, or until the onion is translucent. 2) Add sweet potatoes, orange peppers, white wine, orange and ginger. Cook for 3-5 minutes, stirring. 3) Add stock. Bring to a boil and then simmer on med-low heat for 30-40 minutes or until potatoes are tender and cooked through. 4) Remove from heat. Puree in a blender, food processor or using a hand blender. Add more stock or water as necessary to achieve your desired thickness. 5) Return to low heat for 2-3 minutes to reheat. 6) Garnish with whole-wheat croutons and chopped parsley. 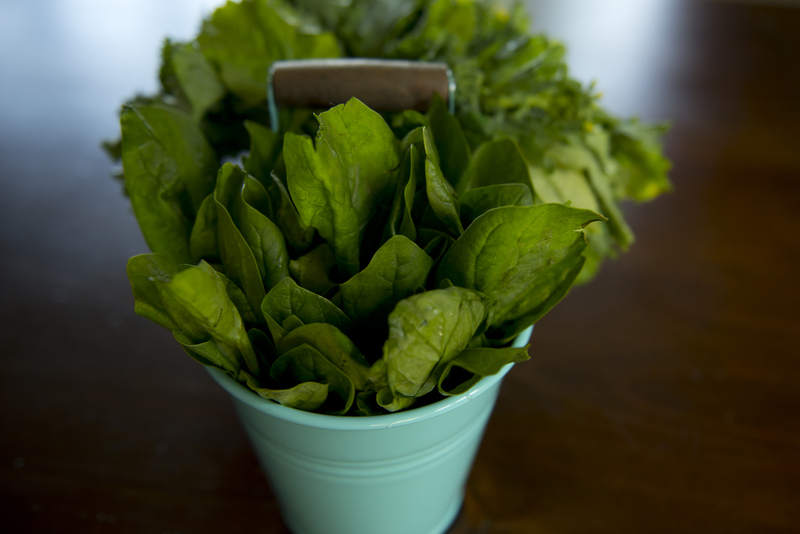 Tip: Chop raw baby spinach and place at the bottom of the bowl. Add hot soup. Let sit for a couple of minutes to soften spinach. Enjoy. Don't Forget About Orange Veggies! Carrots were historically hailed as the best food to eat for your eyes, so most people expect orange vegetables to top the list of foods that promote eye health. High in beta-carotene, orange vegetables are an important part of any diet focused on eye health. However, recent studies are raising questions regarding taking a beta-carotene supplement. So, what is the story with beta-carotene and our eyes? Everyone should eat foods that are high in beta-carotene to help maintain healthy eyes and vision. Beta-carotene is made into vitamin A in the body. Vitamin A is an important part of the visual pathway for both rods and cones. Diets high in beta-carotene may reduce the risk of age-related macular degeneration. People that smoke should not take beta-carotene supplements. Taking beta-carotene supplements can increase the risk of lung cancer in smokers. However, eating a diet rich in beta-carotene does not increase the risk of lung cancer. In addition to being high in beta-carotene, these orange vegetables are a source of vitamin E, zinc, fiber, lutein and zeaxanthin and vitamin C. Sweet potatoes top the list as the number one orange vegetable because they are the best food source of beta-carotene. They also contain a significant amount of fiber. Did you know eating eggs helps prevent macular degeneration without raising lipid and cholesterol levels in your body? Eggs are a great source of the macular pigment lutein. A diet rich in lutein has been shown to aid in the prevention of AMD and cataracts. AMD (Age-related macular degeneration) is a chronic disease and is the leading cause of blindness in the Western world. A diet rich in nutrients for your eyes can help to prevent or reduce the risk of progression of AMD. Eggs are a staple ingredient in most refrigerators and provide our bodies with a bio-available source of lutein. In addition to lutein eggs also contain significant amounts of vitamin E and omega-3 fatty acids. Recent studies have shown that consumption of eggs increased serum lutein and zeaxanthin levels without negatively affecting serum lipid levels. Other studies have also confirmed that healthy individuals can eat an egg day without increasing their risk for heart disease or stroke. Did you know regular exercise helps to decrease the risk of macular degeneration? Macular degeneration is the leading cause of blindness in the western world. Adults should participate in moderate to intense physical activity for 30 minutes everyday and kids for 1 hour everyday. Physical activity is essential for a healthy lifestyle. We are all well aware of the long term health benefits of exercise and physical activity, but making physical activity a regular part of your life will help you feel younger, stronger, and more energetic right now. We recommend regular exercise as part of an eye friendly lifestyle. Exercising at least 3 times per week can slow the progression of macular degeneration. Increased physical activity can also decrease the risk of cardiovascular disease and stroke. Other health benefits of physical exercise include weight control, stronger muscles and bones, reduced stress, and increased energy and vitality. Adults: 2.5 hours of moderate to vigorous intensity physical activity per week. Children and youth: 60 minutes of moderate to vigorous intensity physical activity per day. If you have any health concerns, consult your physician before starting any new exercise program. To get the same amount of Omega 3 that you would get form 1 fillet of salmon you would need to eat a dozen eggs. Omega 3 eggs are a great Eyefood however, they don’t replace fish in the diet. Eating 2 servings of wild salmon (Alaska) per week and 2 servings of other cold-water fis will provide your body with an omega-3 intake equivalent to 850 mg of DHA and EPA per day. In comparison one omega-3 egg contains approximately 125mg of DHA (omega-3 fatty acids). Although they are not a replacement for DHA and EPA in fish, eggs are a great source of other eye nutrients such as lutein, zeaxanthin, vitamin E and zinc. Omega 3 fatty acids are important for eye health as they can decrease the risk of age-related macular degeneration and are also therapeutic for patients with dry eye syndrome. Take note however, that you should not take more than three grams of omega-3 fatty acids per day unless under the care of a physician. High levels may cause excessive bleeding in rare cases. Did you know leafy green vegetables are the perfect Eyefood? They contain high amounts of most eye nutrients. Lutein, zeaxanthin, beta-carotene, vitamin E, vitamin C, zinc and fiber. Leafy green vegetables are the gold medalists of Eyefoods as they contain most of the essential nutrients necessary for healthy eyes. When you eat cooked leafy green vegetables your body absorbs more lutein and zeaxanthin and when you eat raw leafy green vegetables your body absorbs more vitamin C.
Diets rich in leafy green vegetables preserve eye health and also may decrease the risk of cardiovascular disease and many types of cancer. Eyefoods Tip: Lutein and Zeaxanthin are fat soluble antioxidants and need fat to be transported in the body. Add health fats such as olive oil or avocado to your leafy greens for better absorption of lutein. Protect your eyes 365. Wear your sunglasses everyday! Over exposure to UV light may cause cataracts, age-related macular degeneration, skin cancer, sunburns and premature aging of the skin. Sunglasses are important to wear all year round, not just in the summer! There is year round direct glare from the dun above and its reflection below. There is also reflected from surfaces like car windshields or puddles on the road. The difference between a high quality pair of sunglasses and a low quality pair is measured by the UV protection they give and by the way they filter blue light. The gold standard in sunglasses for UV protection has been UV 400 which will protect against UV categories A, B and C.
A high quality pair of sunglasses will filter both UV and blue light, while still absorbing the damaging energy of blue light, they will still allow you to see colours normally. Another available feature is a polarized filter. This will eliminate reflected glare from the road, water, windshields, and other flat shiny surfaces. It will also allow you to see below the water’s surface, so are great for fishing. Did you know the highest food source of beta-carotene is the sweet potato? Beta carotene from food is important for your eye health. Your body converts beta carotene to vitamin A. Vitamin A is used by the rods and cones to generate a vision signal. Beta- carotene is a carotenoid found in fruits and vegetables. The body converts beta-carotene to vitamin A, which is used by the rods and cones to generate a vision signal. A diet high in beta-carotene may reduce the risk of AMD and cataracts when consumed in combination with other antioxidants. High blood levels of beta-carotene may also decrease the risk of chronic disease and protect the body from disease caused by oxidative damage such as heart disease and cancer. Recent studies have been raising questions regarding taking beta-carotene as a supplement. Taking beta-carotene supplements an increase the risk of lung cancers in smokers, therefore people that smoke should not take these supplements. However, eating a diet rich in beta-carotene does not increase the risk of lung cancer. Sweet potatoes top the list as the number one orange vegetable as a source of beta-carotene. Sweet potatoes also contain a significant amount of fiber. They are readily available throughout the year and found in the late summer and early fall at local farmer’s markets. They make a great substitution for white potatoes and can be enjoyed, baked, mashed, or roasted with a splash of extra virgin olive oil and a sprinkle of salt and pepper. Age-related macular degeneration (AMD) is a chronic disease of the central part of the retina, the macula. It is the leading cause of blindness in the Western world. There are two forms of AMD: dry AMD which is more common and wet AMD. Dry AMD occurs when cells in the macula begin to break down, causing a thinning of the macula and a gradual decrease in vision. In addition the retina is unable to rid itself of its metabolic wasted – lipofuscin and it accumulates in the retina as drusen , which blocks normal functioning of the retina. Dry AMD can lead to wet AMD. Wet AMD is caused by the growth of abnormal blood vessels in the choroid, which provides blood supply to the retina. The new vessels are weak and can lead fluid into the retina, causing a decrease in vision that is more rapid and dramatic than in dry AMD. Smoking is one of the highest risk factors for AMD as it promotes oxidative damage to the retina. Eyecare professionals recommend that most patients with AMD take and AREDs- type vitamin supplement and an omega-3 fatty acid supplement. However, numerous studies have shown a relationship between nutrition and AMD. Some key nutrients for the prevention of AMD are, lutein and zeaxanthin, vitamin C, vitamin E, beta-carotene, zinc and, omega-3 fatty acids. For the best treatment plan for you it is best to consult with your optometrist. Did you know turkey breast is a fantastic source of zinc and vitamin E.
Two important eye nutrients and antioxidants. The Eyefoods plan recommends eating turkey breast every week! Happy Thanksgiving from Eyefoods! And, what better time to talk about the great benefits of the highlight of Thanksgiving dinner, the Turkey! Turkey is high in zinc is an essential trace mineral that exists in every cell of our bodies. It supports our immune system and the healing process. Zinc also encourages normal growth and development during pregnancy, childhood and adolescence. For our eye health, zinc helps to mobilize antioxidants from our liver to the retina. It also has been shown to decrease the risk of AMD. Vitamin E is a fat-soluble antioxidant found in fruit and also in oils, nuts, eggs and fortified cereals. Vitamin E in addition to other antioxidants may decrease the risk of cataracts and AMD. It has also been shown to protect the body against cancer and cardiovascular system. Use turkey breasts instead of chicken breasts. The zinc content is much higher in turkey. Use ground turkey instead of ground beef for eye healthy hamburgers, meatballs, or chili. One medium leaf of kale contains the Eyefoods daily recommended dose of Lutein and zeaxanthin. Kale is a top Eyefood! It is a nutritional powerhouse containing large amounts of disease fighting anti-oxidants, carotenoids and other nutrients. The nutrients in Kale have been shown to be protective against age-related macular degeneration, cataracts, cardiovascular disease and, cancer. One leaf of kale contains nearly 10mg of lutein which is the daily recommended dose. Lutein and its side kick zeaxanthin, are pigments abundant in the macula that exert protective effects on the retina. They protect against oxidative damage, UV and blue light. As kale is such a great nutrient source, eating it every week is a great way to protect your eyes from age-related macular degeneration, the number one cause of vision loss in North America. With the additional nutrients in kale, it makes a great choice for vision and all around health for your body! To revive ‘wilted’ kale from your refrigerator, cut an inch or two off of the stems and place in cold water for 15 to 30 minutes. It is a cold weather vegetable. It grows best in spring and fall harvesting kale after the first frost gives it a smoother flavor. Enjoy both raw and cooked with a small amount of healthy fat, such as extra virgin olive oil to receive all of its nutritional benefits. Kale makes a great addition to your smoothies and salads. Or for a tasty snack, try kale chips. Antioxidants help prevent eye disease such as AMD and Cataracts. Get your antioxidants by eating brightly coloured fruits and vegetables. Getting them from food versus only from supplements allows your body to benefit from the synergy of the nutrients in foods. Antioxidants are a class of substances that help to prevent oxidation in the body. Examples are, vitamins and minerals such as vitamin C and vitamin E, as well as phytochemicals such as the carotenoids lutein and zeaxanthin. Oxidation is a chemical reaction in the body that changes a stable molecule into a free radical. Free radicals can form from environmental factors including, exposure to UV light, hazardous chemicals and air pollution. They can also be formed due to the natural aging process, poor dietary habits and smoking. If left unchecked free radicals can damage the body and tissues leading to a variety of chronic disease such as age-related macular degenerations, cancer and cardiovascular disease. However, antioxidants may reduce the risk of age-related macular degeneration and cataracts, cardiovascular disease, respiratory disease and cancer. Fruits and vegetables, cold water fish, eggs and plant oils are some examples of great antioxidant sources for vision health. This simple and refreshing treat is packed with eye nutrients. The combination of leafy greens and fruit are a great source of lutein, zeaxanthin and vitamin C! In addition to feeding your eyes, the coconut water in this recipe will replenish your body with much needed electrolytes after a summer run or workout. Place all ingredients in a blender. Blend and enjoy! 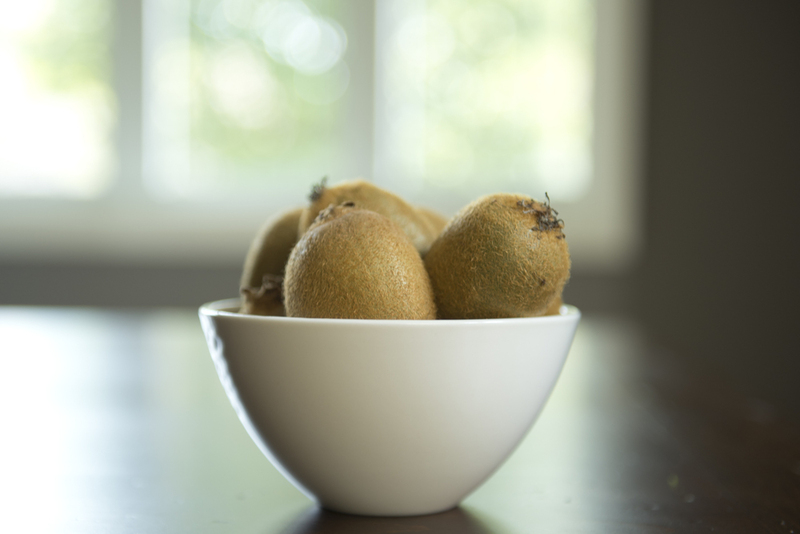 Did you know kiwi is the highest fruit source of vitamin C? 1 kiwi contains nearly 2 times the amount of vitamin C than an orange. Vitamin C is water soluble antioxidant found in fruits and vegetables. Our bodies cannot make or store vitamin C so it is essential to consume foods high in vitamin C in our diet. It is important to consume foods high in vitamin C several times a day because vitamin C has a short half like meaning it breaks down quickly once consumed. Vitamin C along with other antioxidants are important for eye health as vitamin C is abundant in all ocular tissues and has also been down to decrease the risk of AMD and cataracts. Vitamin C also helps to maintain a healthy immune system and increases the body’s ability to absorb iron from plant sources. It may also decrease the risk of stroke, heart attack and lung cancer. In addition to being a source of vitamin C, kiwi is also a source of vitamin E, fiber, lutein and zeaxanthin, and zinc – all important nutrients for eye health! Eggs are a great source of eye nutrients. They contain significant amounts of vitamin E, lutein, and omega-3 fatty acids. Most of the eggs nutrients are in the yolk, so you should eat the entire egg for the full nutritional benefit. Historically, eggs have not been considered a health food because of their cholesterol content. A large study in the Journal of the American Medical Association in 1999 found that there was no link between moderate egg consumption (one egg per day) and an increased risk of stroke or cardiovascular disease in healthy patients. Eyefoods Tip: When buying eggs, look for those highest in omega-3 fatty acids whenever possible. Also, eggs that have been fed a diet high in flax and corn have high lutein and omega-3 content. Eggs with a high omega-3 content also tend to be a good source of vitamin E.
Did you know black beans are high in fiber? A diet high in fiber is an eye healthy diet and helps reduce your risk for AMD. Dietary fiber is exists in two forms: soluble fiber and insoluble fiber. Black beans are a source of soluble fiber. Some other sources of soluble fiber are oatmeal, barley, citrus and strawberries. Sources of insoluble fiber are cereal, cabbage, carrots and brussel sprouts. Foods that are high in fiber can help to reduce your risk for cardiovascular disease and macular degeneration. This is because high-fiber foods have tend to have a low glycemic index. On the contrary foods with a high glycemic index like white bread and foods high in sugar can increase your risk of AMD and cataracts. A great way to add black beans into your diet is in your salads and soups! Try them in our Eyefoods Black Bean and Mango Salad for a recipe full of additional nutrients for healthy eyes. Fruit is an important part of a healthy diet. 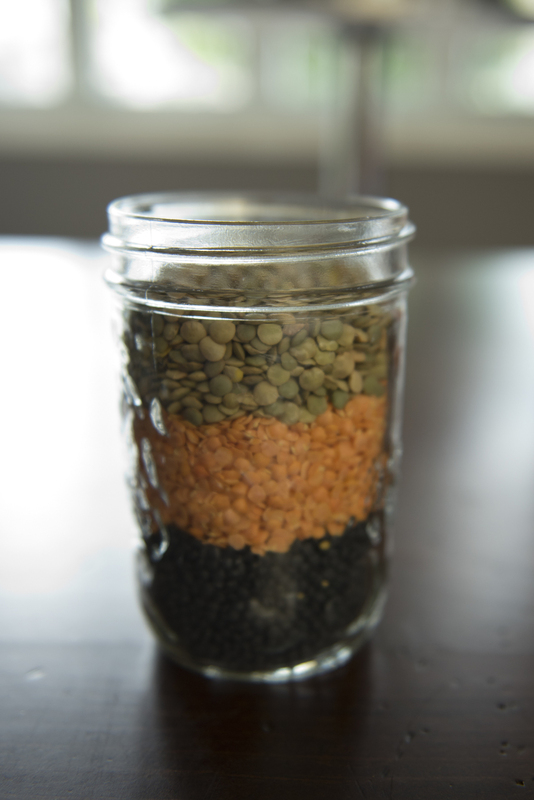 It contains high amounts of a variety of nutrients, especially antioxidants. Antioxidants help to prevent oxidation in the body - a chemical reaction that changes a stable molecule into a free radical. Exposure to certain environmental factors, UV light, hazardous chemicals, air pollution, poor dietary habits and smoking can all trigger free radicals to form. For our eye health antioxidants may reduce the risk of age-related macular degeneration and cataracts. They also have been shown to reduce the risk of cardiovascular disease, respiratory disease and cancer as well as enhance immune function. A great way to obtain more antioxidants in your diet is through fruit, especially berries! All berries are high in antioxidants and contain vitamin C, vitamin E and fibre. Summertime is the perfect season to enjoy so many great varieties of fresh berries! • Add fresh or frozen berries to your morning smoothie. • Add fresh summer berries to your salad. • Enjoy in a yogurt parfait. • Berries make a great mid-afternoon or mid-morning snack. Did you know cold-water fish are a great source of omega-3-fatty acids? For your eye health cold-water fish has protective effects against AMD, cataracts and dry eye syndrome because of its high concentration of omega-3-fatty acids (DHA and EPA). Omega 3 fatty acids are anti-inflammatory. Omega 6 fatty acids are pro-inflammatory. It’s all about balance, the ideal ratio of Omega 6 to Omega 3 is 4:1 or less. The average North American has a ratio of 15:1 or higher. Avoid foods that are high in omega 6 fatty acid such as processed foods. Look for foods high in omega 3 fatty acids – such as cold-water fish. 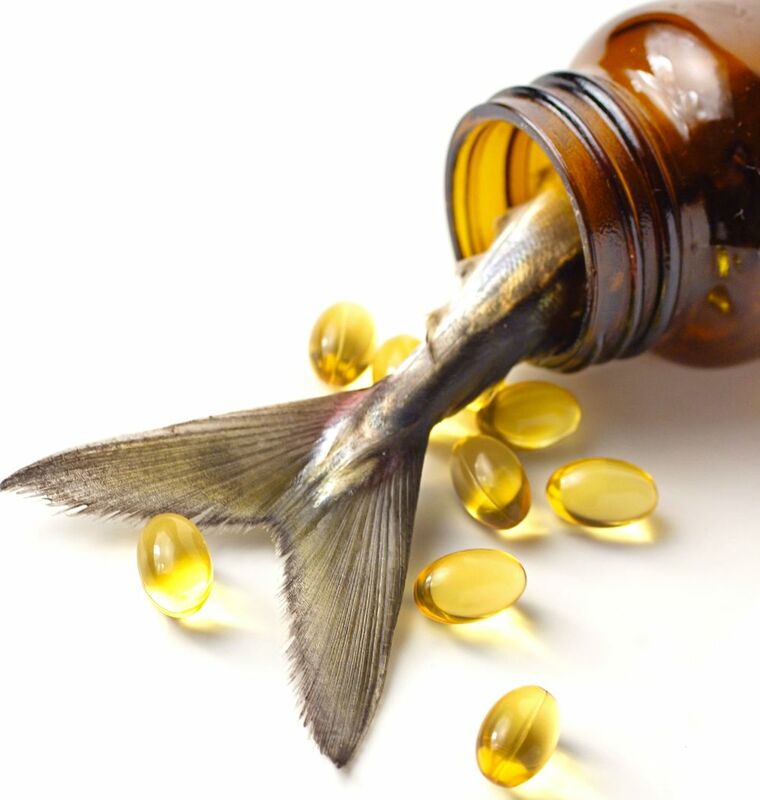 Eat cold water fish, 4 per week gives you 850mg of DHA and EPA per day. One Eyefoods serving of fish is the size of a deck of cards. Small fish tend to have fewer contaminants such as mercury and PCB’s when compared to larger fish. Eat wild salmon, sardines, rainbow trout and mackerel – they are high in omega 3 fatty acids and low in contaminants. Eyefoods Rule of thumb: if the entire fish fits on your dinner plate it is probably safe to eat. Orange peppers are one of the best food sources of that macular pigment zeaxanthin. They make a great addition to salads and stir fry’s. 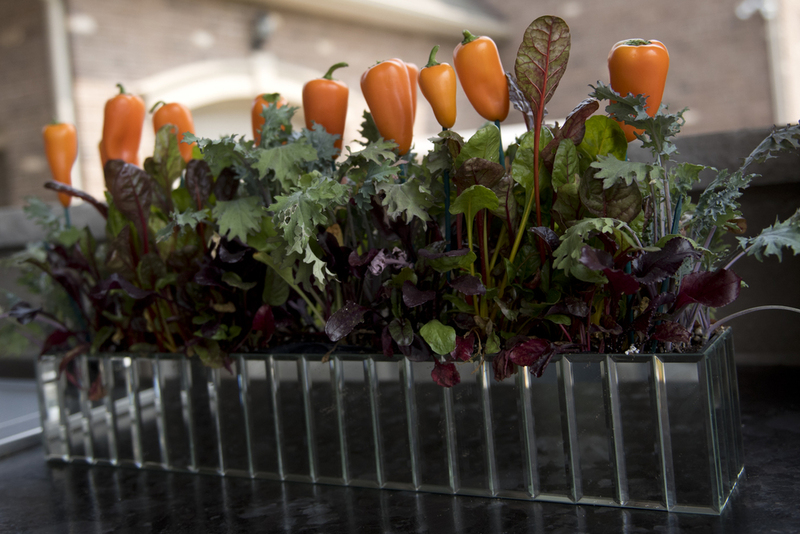 Orange peppers have the highest amount of eye nutrients of all of the coloured peppers! They are an all-star Eyefood! Orange peppers are one of the best food sources of zeaxanthin. Zeaxanthin along with lutein is a macular pigment that may reduce the risk of age-related macular degeneration. Half of an orange pepper contains approximately 2mg of zeaxanthin, the amount present in AREDS 2 used for prevention of AMD. Orange peppers are a great source of antioxidants. They contain more vitamin C than all other colored peppers as well as over 3 times the amount of vitamin C in an orange. They are also the highest vegetable source of vitamin E, making them a great low calorie source of vitamin E as it is more commonly found in fats and oils. Add chopped peppers to a spinach or bean salad. Sauté orange, yellow and red peppers with skinless boneless turkey breast. Enjoy raw as a snack. Add chopped orange peppers to your omelet.